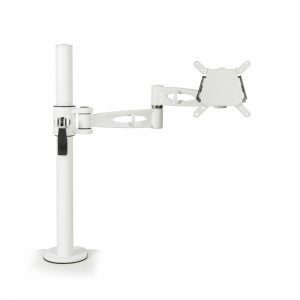 For 75 x 75 and 100 x 100 VESA compatible screens like monitors, electronic picture frame, tablet, and more. 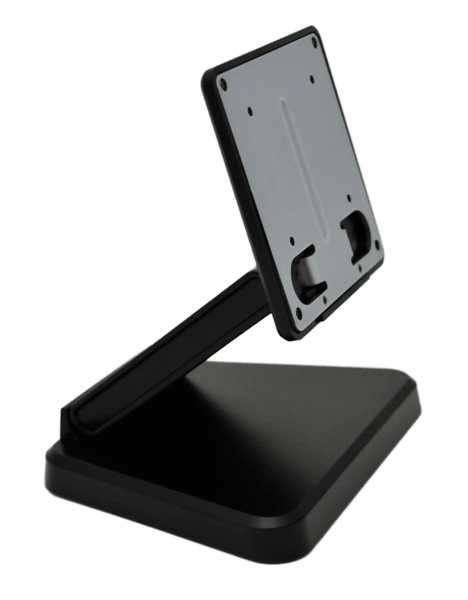 This stand can be used to display promotional messages and advertising. 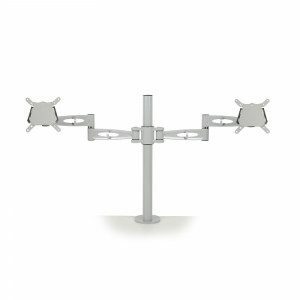 The tabletop monitor display holder is constructed from steel and includes a rotating bracket, which has VESA mounting pattern: 75×75. 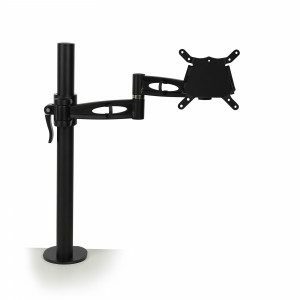 For 75 x 75 compatible screens like monitors, electronic picture frame, tablet, and more. Cable management system keeps cords organized and out of the way. Dimensions: Overall: 8-5/8”w x 9-1/4”h x 9-1/4”d Base: 8-5/8” x 9-1/4” Maximum Weight Capacity: 17.5 lbs. Weight: 3-lbs.